I suppose sooner or later Big Finish has to tackle the “jealous companion” trope. And we all know that Jo’s fiercely attached to her Doctor. Luckily, this is a Katy Manning audio, and she puts so much energy and love into her performances that I enjoyed it despite being able to predict the plot arc from the title. (Sometimes I wish I could turn off my writer’s brain). Katy’s Pertwee imitation is always charming, because her fondness for him shines through. They were my first TARDIS team, and it’s uncannily like time travel when she ratchets up her voice to channel her 19-year-old self again. The audio description on the Big Finish site gives away so much that it’s hard to say any more about the story without spoiling it. 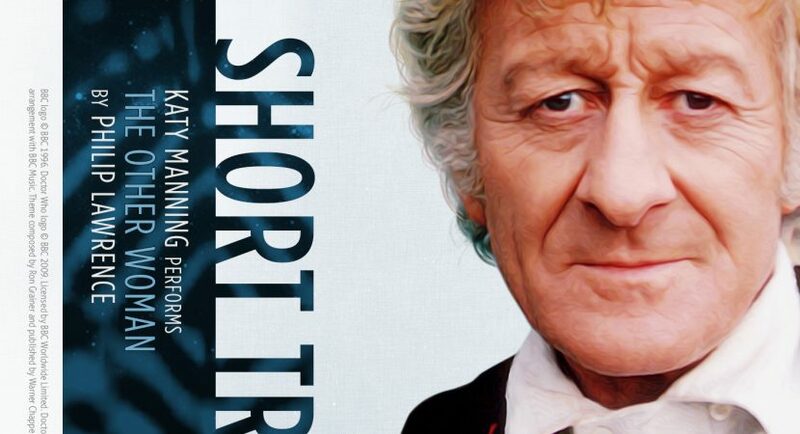 In short, the Doctor offers chivalrous help to a stranded space traveler, an attractive lady with equally attractive technology that he covets. Jo is not best pleased. She suspects the stranger of nefarious designs on the Doctor. And the UNIT boys are all too eager to show off for their exotic guest. Jo was confused. Humans had barely been to Mars and back, never mind other dimensions. “Callandra means the TARDIS, Jo.” The Doctor was almost on the edge of his seat with excitement. Be braced for some Mind Robber physics and handwaved technology in the interest of keeping the plot simple enough for a 35-minute story. It’s good old-fashioned Who, nothing earth-shattering but quite enjoyable, mostly thanks to Katy being Katy. Whatever year this is supposed to be— see the UNIT dating controversy and Mars Probe 7— I would like to know where Jo’s friend Alex found a computer that can decipher unknown alien languages. Google translate isn’t that skilled at translation even for known languages. Has the Doctor loaned UNIT the TARDIS translation circuits? I have the impression that the Brigadier was in on the Doctor’s plan. He comes in fully briefed on the alien woman, and he’s usually a lot more suspicious of nonhuman visitors. In which case Jo may have some reason to be irked at the Doctor for not communicating his plan to her sooner. Then again, he could be sure she’d follow him, and she’s not always as discreet as she ought to be. So maybe that’s why he kept her in the dark.